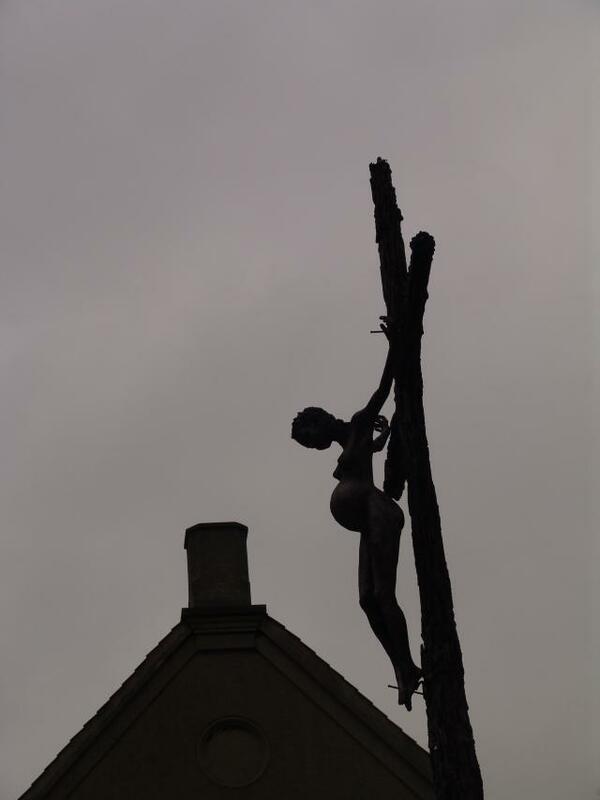 The copper sculpture depicts a pregnant teenager in natural size crucified on a big cross. It is a harsh comment to the impact of the fundamentalist branch of the Christian church, with President Bush and the Pope in the lead, on contraception and sexual education. Women, including teenagers, bear the brunt of the disastrous consequences of the ban on condoms based on ´Christian´ morality. 2012.06.19: Råttent dobbeltspill fra Brasil gjør Vatikanet viktigere på Rio+20, enn kvinner!